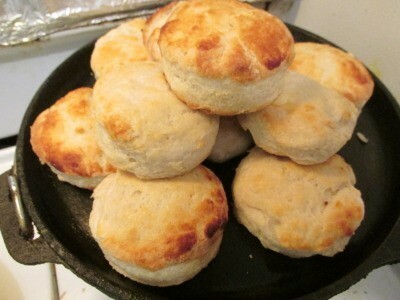 I'm looking for a recipe for homemade buttermilk biscuits. Thank you. Grease a baking sheet. Place all the ingredients together in a bowl and mix with a wooden spoon to form a soft dough. Turn out onto a lightly floured board and roll out to approx. half-inch thick. Cut into rounds. Re-knead pieces and cut again. Brush top with beaten egg and bake in pre-heated oven 200 degrees for about 15-20 mins. depending on your oven. Mine is fan assisted. also using dates and walnuts, or topping with cheese. add 3 to 4 cups self rising flour to a bowl. Add in oil or vegetable shortening. Or a bit of both. About 1/2 half cup. Whisk it about till tiny pebbles form in the flour. Add buttermilk in to dampen with a large spoon till you get a dough.